The Stio Alpha Alpine Hooded Jacket was designed in the mountains for playing hard in the mountains. 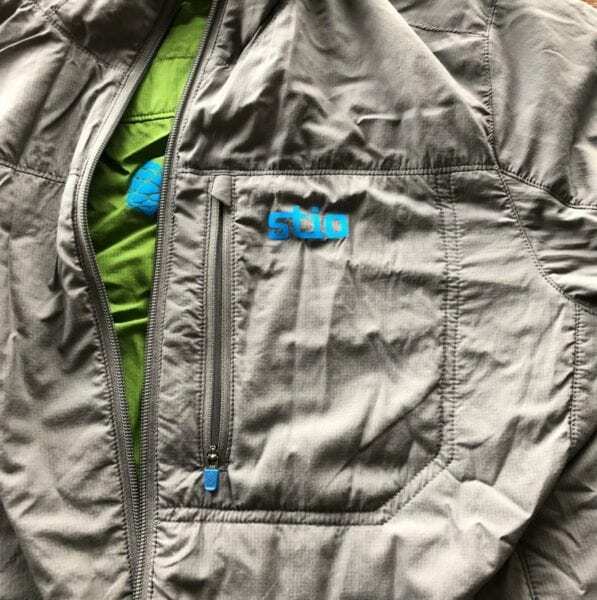 Stio has been one of my long time favorite companies based out of Jackson Hole, Wyoming. The gear they design is made for big adventures as well as everyday use. The Stio Alpha Alpine Hooded Jacket is a lightweight jacket that could be used on its own or as a layering option. This jacket is made for high energy activities where temperature is critical. Over the past few weeks I have put the Stio Alpha Alpine Hooded Jacket to the test. It has accompanied me while skiing, skinning, snowshoeing, ice fishing, and in everyday use while playing in the mountains of Colorado. The Stio Alpha Alpine Hooded Jacket is an incredibly lightweight jacket weighing an incredible 9 ounces. I have flannel shirts that are heavier than this! The material used on the outside of the jacket is Meridian AP Stretch Mini-Ripstop. 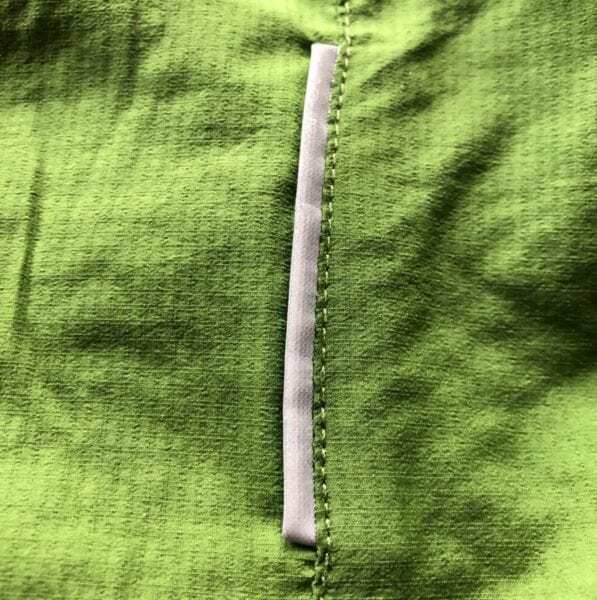 This material allows the exterior of the jacket to stretch. It also adds a dimension of water resistance. Inside, Polartec Alpha is used for insulation. Polartec Alpha is a polyester knit designed for breathability. This insulating fabric works by allowing moisture vapor to escape leaving the body dry. Designed to be two jackets in one, the Stio Alpha Alpine Hooded Jacket is reversible allowing two color options. Each color pair was created with a highly visible and a toned down color. My particular jacket is green and grey. However, the color features currently available are Maritime Blue with Grey and Mountain Mulch with Yellow. 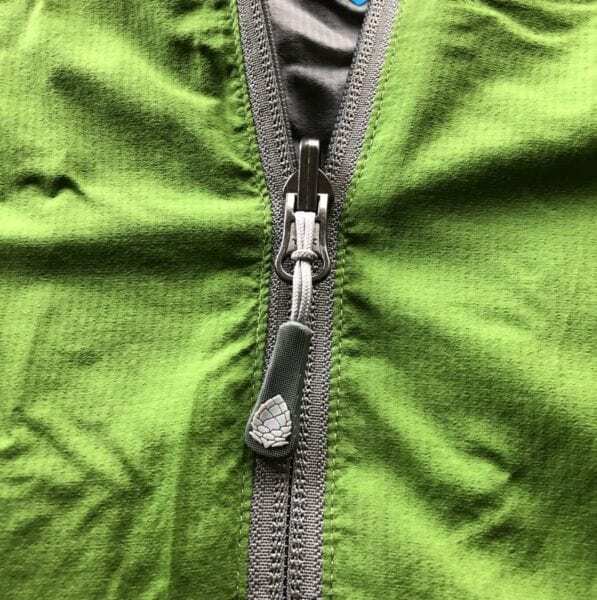 The zippers used throughout the Stio Alpha Alpine Hooded Jacket are YKK. The front main zipper is reversible allowing for use on either side. There are two side pockets as well as one chest pocket that incorporate the YKK zippers as well. Additional cool features are the small reflective piping used on both sides of the jacket. These reflectors give a bit more visibility in low-light conditions. Anything that will allow a speeding car or snow cat to see you is a welcomed addition. I have been excited to test the Stio Alpha Alpine Hooded Jacket for awhile. 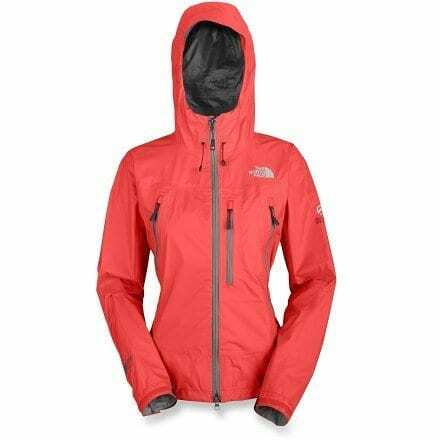 I have always had a need for a highly breathable lightweight jacket for activities like mountain biking, skiing, running, fishing, and everyday use. Already in two months, I can tell you this is the outerwear I have been looking for . 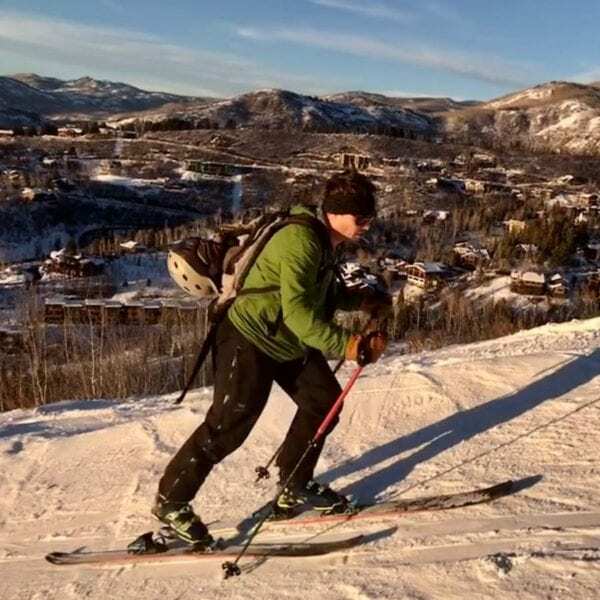 Skinning and skiing is where Stio Alpha Alpine Hooded Jacket really shines. These are high output activities where breathability is critical. 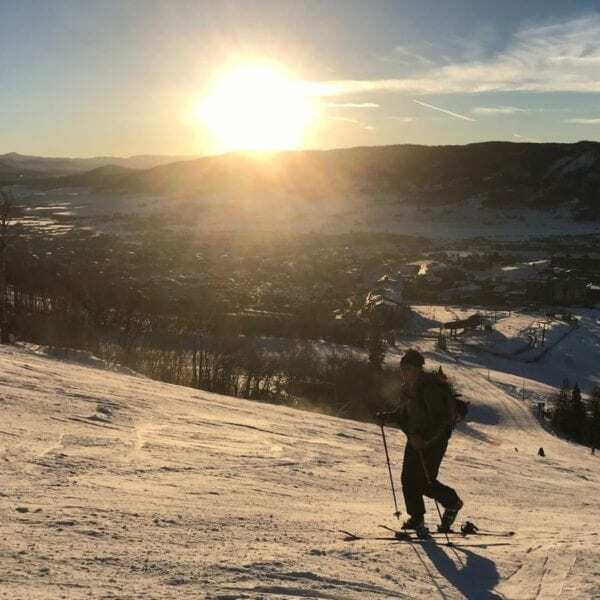 Skinning around Steamboat Springs usually involves 2,000-3,000 ft of elevation gain. Starting out cold and finishing hot and sweaty is what skinning is all about. Prior to this jacket, I have not found an outer layer that could handle these sweaty and cold activities. For such a light piece of apparel it is crazy how warm this jacket really is. 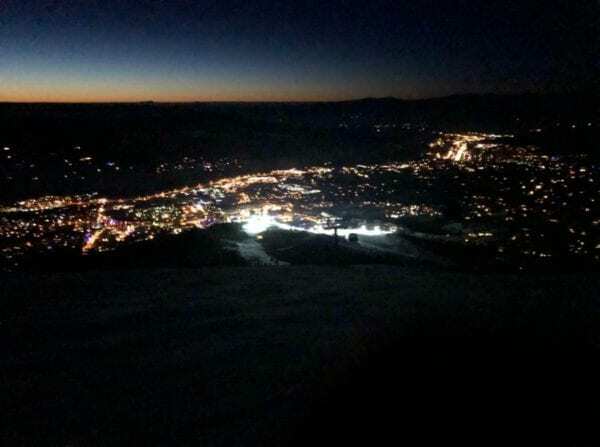 My last skin outing on started out at -10 degrees. With a light wool layer and Stio Alpha Alpine Hooded Jacket I never felt cold. That being said my body runs warm, but -10 is still pretty darn cold! Near mid mountain on the same skin session I was definitely heated up. I did not notice the bone chilling cold anymore. 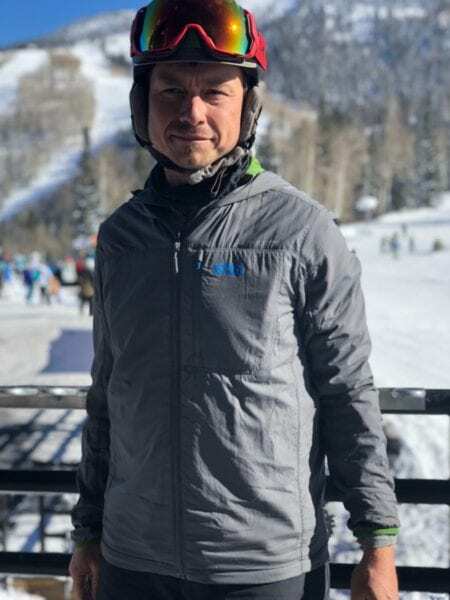 The Stio Alpha Alpine Hooded Jacket did a great job of wicking the moisture off my body keeping me as dry as possible during this period of intense activity. Traditionally, I would need to shed off my layers down to my base. 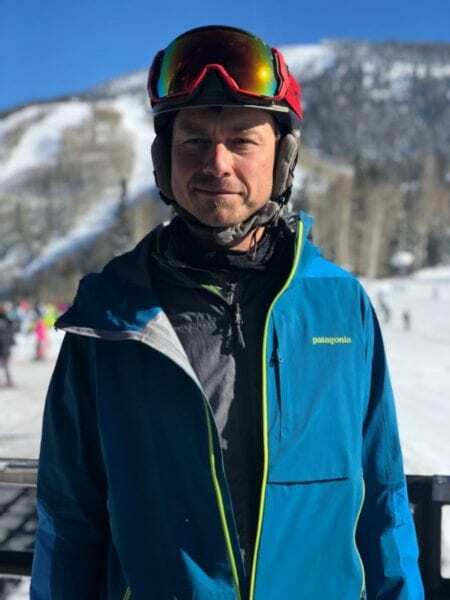 In addition to an outer layer, the Stio Alpha Alpine Hooded Jacket makes a wonderful base layer. It fits perfectly under a shell for alpine skiing and fly fishing. This jacket adds warmth and breathability to a layered setup. Additionally, the Meridian AP Stretch Mini-Ripstop allows for all the necessary movement. I absolutely love this as an under layer for fly fishing where shoulder movement is critical. The Stio Alpha Alpine Hooded Jacket is great for wearing out and about. This starts with the fit. At 5’ 10” and 175 lbs my sizing usually falls between a large and medium. The medium jacket was perfect. Having the two color options choose from and increases its chance for use. 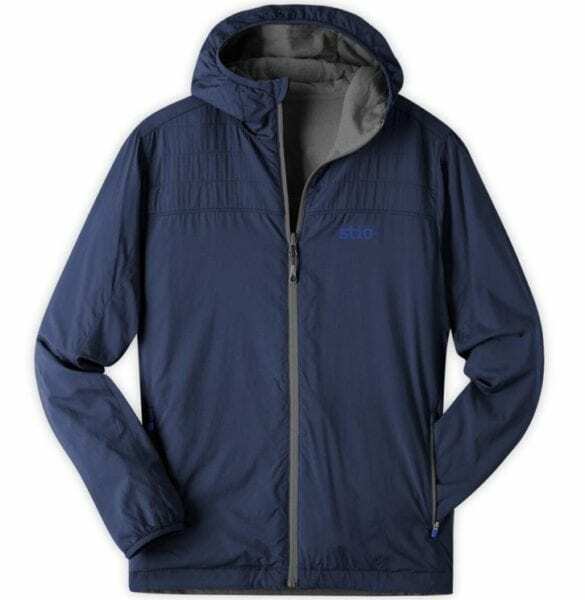 The Stio Alpha Alpine Hooded Jacket works well for a quick layer to go from the office to the car and to run errands in during cold weather times. The features, like the pockets, of the Stio Alpha Alpine Hooded Jacket are very minimalistic. This is to be expected out of an ultralight piece of apparel. There are three pockets on the jacket, two side pockets and one chest pocket. The side pockets are on one color side and the chest pocket is on the other color side. This is not a criticism but should be noted before a certain side of the jacket is worn. The Stio Alpha Alpine Hooded Jacket is the outerwear I have been looking for. 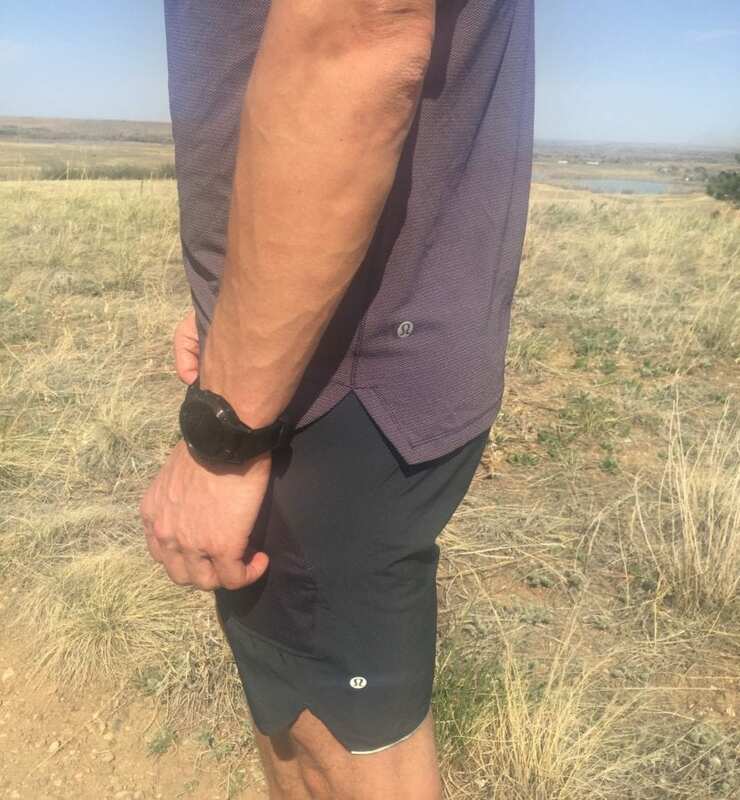 It is the perfect lightweight apparel with versatility that is nearly endless. Used as a standalone, the Stio Alpha Alpine Hooded Jacket is highly breathable and water resistant and made for high energy activities. This jacket would be awesome for running, skiing of all kinds, biking, hiking, and fishing. As an under layer the Stio Alpha Alpine Hooded Jacket will add much warmth to a shell, making a bomb proof combination. 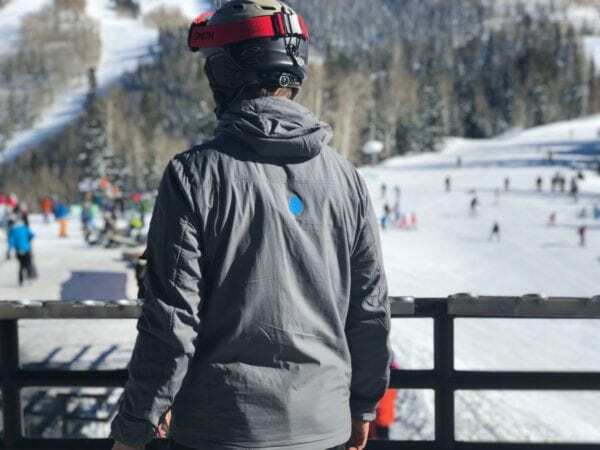 Any outdoor enthusiast should check out the Stio Alpha Alpine Hooded Jacket as it will add another dimension to their outdoor apparel collection.